The NBA continues to gain popularity north of the border. The fact that the Raptors have established themselves as Eastern Conference contenders over the past several years, and the Canadian talent in the NBA is at an all-time high, the buzz for the NBA in Canada is taking off. 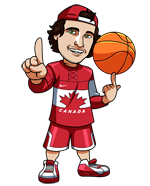 Sports betting and NBA betting in particular has increased here in Canada over the past few years. For this reason I wanted to create this page to give you a simple step by step guide to placing your first NBA bets at a popular and trusted online betting site. The first step towards making an NBA bet is to open an account with an online sportsbook. Our top rated betting site for Canadians is SportsInteraction.com. They are entirely focused on the Canadian sports betting market, which shows through in their bet offerings, deposit/withdrawal options, promotions and customer service all being geared towards Canadians. Check out our full review. We have an exclusive deal with Sports Interaction where new sign ups from our site will receive a 100% matching bonus up to $200 on first deposits. Click here to join SportsInteraction.com. You can also check out our reviews of the top 3 betting sites for Canadians if you’d like to shop around. Next you will have to deposit the funds you wish to bet on NBA games. To deposit click on the green ‘Deposit’ link after logging into your SIA account. From here you can select one of the many deposit options offered by SIA and follow the instructions to complete your deposit. Here’s a screenshot of some of the deposit options. 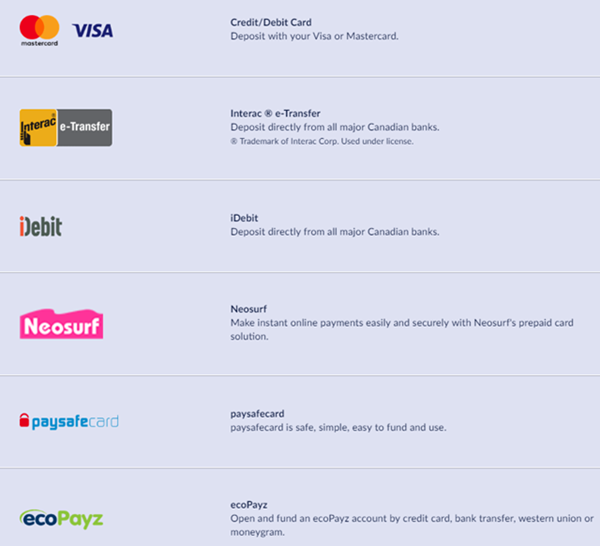 Check out our deposit options page for further details on any method. 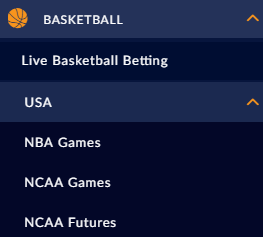 To find the NBA betting lines at SportsInteraction.com, click on ‘Sports’ from the top menu bar, open the ‘Basketball’ drop down menu, open the next ‘USA’ menu and select ‘NBA Games’. You can see the point spread, money line, and over/under bets are displayed for each game. You can also select the ‘+35 bets’ link below the main odds to bring up the prop betting options for the game. To learn more about the various bets you can make on an NBA game check out our basketball betting section. If you have any questions about NBA betting feel free to send me an email on the contact me page and I’ll try to help out. That’s it! Ready to bet? Click here to visit SportsInteraction.com.